"We live for our bulldogs and they do the same for us..."
We are the breeders of Canada's Top Bulldog. 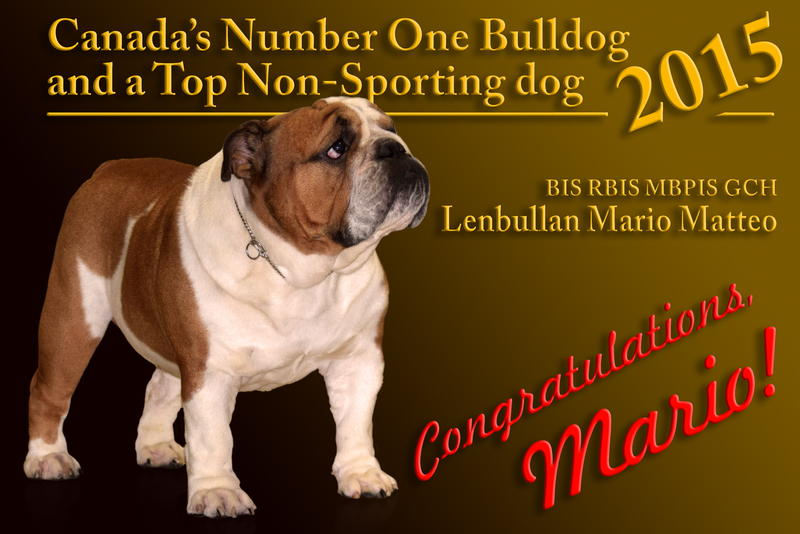 MBIS BISS MRBIS MBPIS GChEx Lenbullan Mario Matteo RN is Canada's #1 Bulldog in 2015 and Canada's #2 Bulldog in 2016 and 2017. We have beautiful puppies born on February 11th. Dam: Ch Lenbullan Yanamaria Yoana. you can do it here. You can be absolutely sure that every penny will be spent for them.